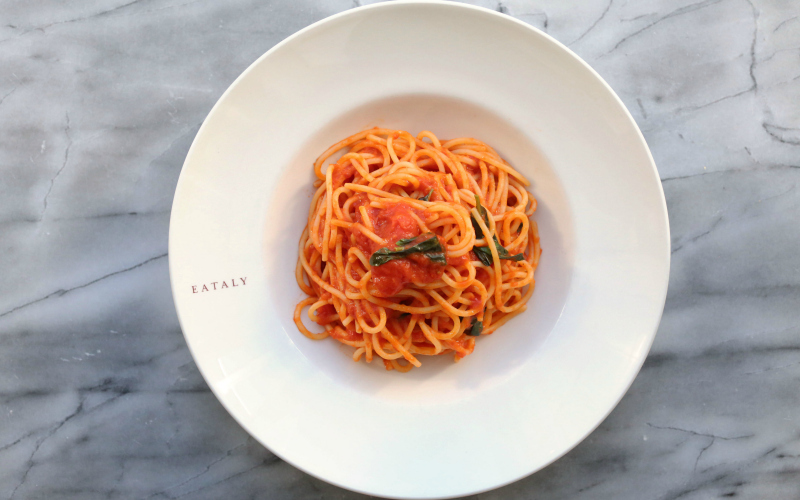 Photograph courtesy of Eataly L.A.
Eataly is so hot right now. The first West-Coast emporium of the Eataly empire opened on Friday and crowds have been clamoring from the moment Mayor Garcetti cut the ribbon (made of pasta). Crowds have been so intense, in fact, that Eataly has hit capacity and had to hold people in lines before allowing them to enter, with wait times sometimes reaching multiple hours. To address the intensity of the hungry hordes, Eataly has rolled out the Line-O-Meter, measuring wait times… with vegetables. 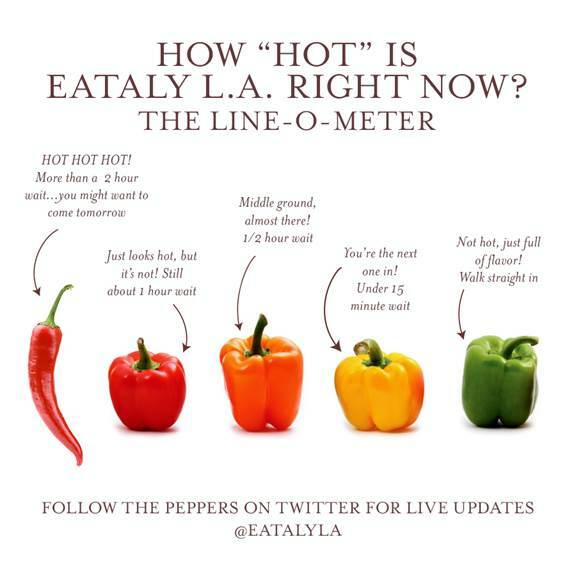 Before you arrive, pull up @EatalyLA and check the pepper of the moment. If it looks too crazy, just remember there are plenty of other fun things to explore at the recently remodeled Westfield Century City. But really, doesn’t delicious food deserve a little wait?